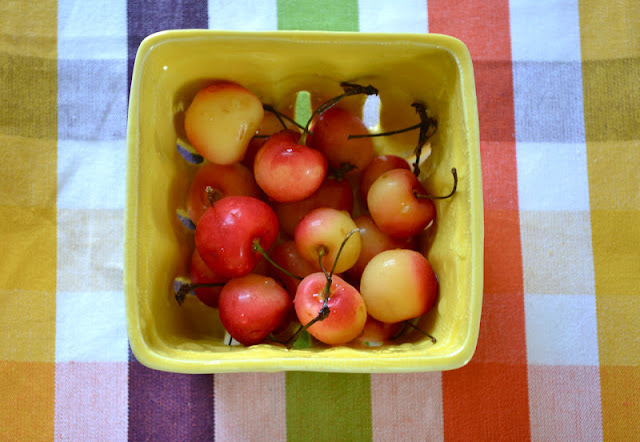 Ah, cherries. My annual love affair is in full-swing. Unstoppable gobbling. 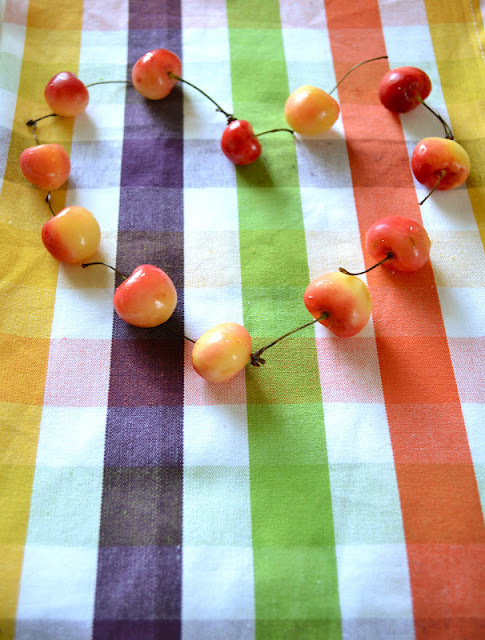 A cherry heart! Do you play with your food too? ha, those are my top two, too! you know, maraschino cherries I can't do. they taste medicinal to me for some reason.